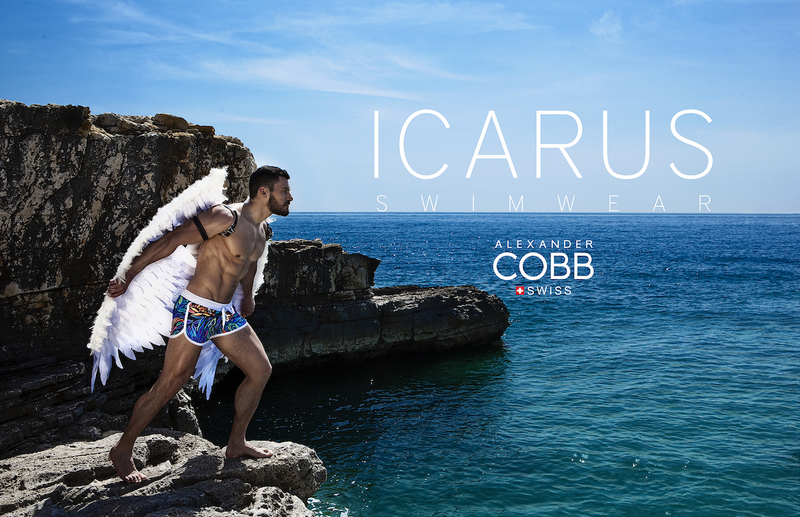 A highly anticipated swimwear collection for 2o18, the Icarus by Alexander COBB, is officially released. Inspired by Greek mythology and more specifically from the story of Icarus and his unsuccessful escape from Crete with his father Daedalus. According to the myth, Daedalus made two pairs of wings out of wax and feathers for their escape. Icarus, got too excited with flying that he flew too close to the sun and the wax of his wings melted so he fell into the sea and drowned. The interpretation of this myth by European brand Alexander COBB is found in vibrant prints on swim briefs, swim trunks and swim boxers. They are all made from a fabric called Revolution Energy® which according to the brand’s press release is a material of high compression that promises to help with movement and decrease muscle fatigue. 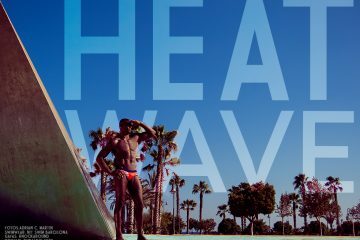 In addition to that the fabric is supposed to withstand high temperatures, sand friction, sea and pool water. A highlight of the collection is the swim briefs that feature a foam made padding which offers a fuller pouch. What we loved is the vibrant prints in shades of red, blue and green colours. Enjoy the campaign images below showing some if the new designs of the brand. Photography is by Sasa Bozunovic with model Zoki Rajak.